Karen House : April 10, 2019, 2:12 p.m.
Work crews were finishing up repairs to the Dunlap Public Library on Cherry Street this week. 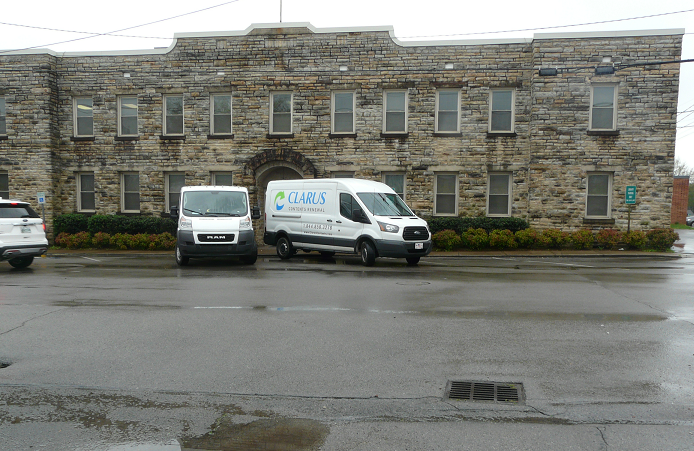 April 10, 2019 – The impact of a major flood Feb. 21-24 of this year is still being felt in Dunlap, as work crews are finishing up repairs on several county buildings. The Dunlap Public Library and the old middle school on Heard Street, which houses the senior center, the food closet, and other offices, suffered major damage from the flooding. 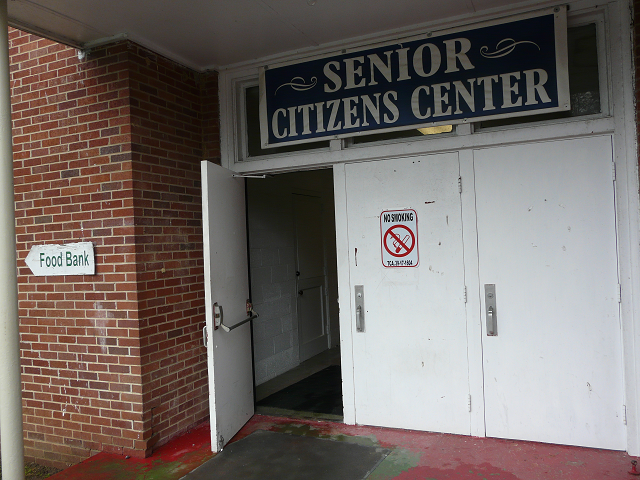 Except for the Senior Citizens Center and the fair exhibition hall at the middle school, they are still closed. A couple of factors have caused the delay in reopening – relocating books at the library while the floor is replaced and having to call in a special crew at the old middle school due to asbestos in the tile. The company that insures the county buildings coordinated the flood clean-up, Cartwright said. “They hired a group out of Cleveland because of the asbestos,” he said. “Also, at the library, they're getting a new roof up there.” The roof was damaged by the wind and rain from the February storm. The reason for the severe flood damage was a ditch near the Sequatchie County Justice Center. A homeowner filled in a ditch that previously had diverted water from heavy rains. As a result, the creek that runs through there flooded its banks. When it comes to handling heavy rains, Dunlap does not have much wiggle room. After nearly two months' work, though, Cartwright said he hopes to get the buildings back open sometime this week. Floodwaters in February damaged the building that houses the senior center, county food bank, and other facilities.